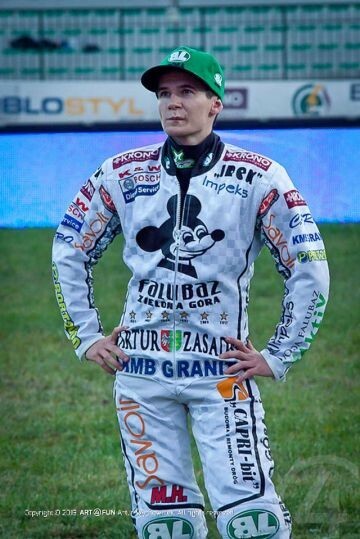 Boll next season 2014 with Patryk Dudek! BOLL Company signed for the season 2014 contract with World Champion Patrick Dudek. We are happy that Patrick will race again on track speedway in colors BOLL. The last year has been for Patrick a time of happiness and points average gave him a 10. place among the most effective players of the season 2013. His greatest successes of this year was gold medal in the Individual World Junior Championships, gold medal in the Team World Championships, silver medal World Junior Team Championships, gold medal in the Youth Individual Polish Championship and the gold medal in the Team Championships Polish with FALUBAZ. All these achievements testify to the fact that Patryk Dudek is at one's best. We wish Patrick good luck and keep this form in next year's competition speedway.